If Venus is the sister world of Earth, then Mars is the angry little brother. Mars is about half (53%) the size of Earth. However, unlike the moon-like topography of Mercury or the cloud-shrouded mystery that is Venus, Mars in many respects is Earth-like. The Martian day is 24.6 hours and the planet itself is tilted on its axis by 25%, while Earth is tiled by 23.5% (Dava Sobel; The Planets, 2005). This tilt of both planets is reason why both the Earth and Mars experience seasons (see below). Since the Martian year is 687 Earth days long these seasons are considerable longer than Earth seasons. Once every 15 to 17 years the orbits of Earth and Mars bring them within 35 million miles of each other. 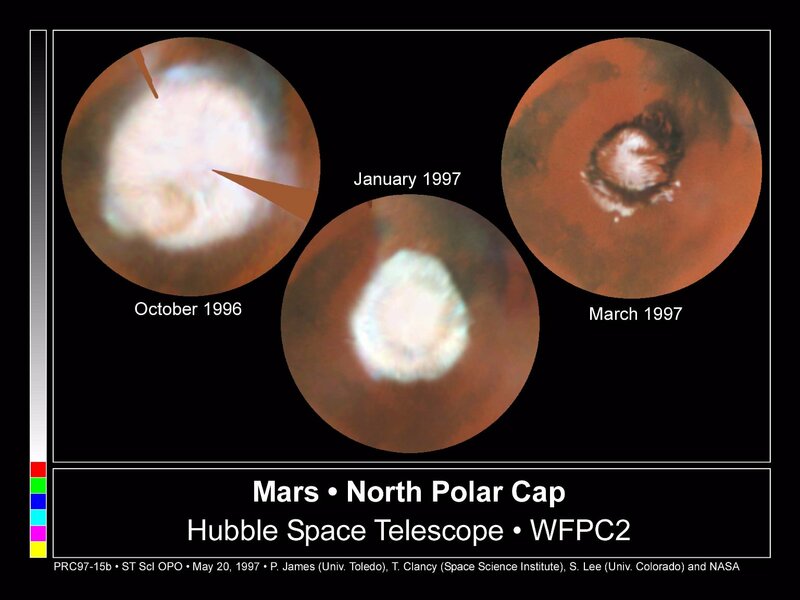 In turn, Mars is three times larger than normally observed in a telescope (Dava Sobel; The Planets, 2005). Such an event occurred in 1877 and at that time an Italian astronomer by the name of Giovanni Schiaparelli observed a complex network of lines crisscrossing the brighter areas of the planet (see below). He called these canali, which in Italian means channels or grooves but was translated to canals in English. In turn, the word “canal” implies a “canal builder” (Cosmos by Carl Sagan; 1980). 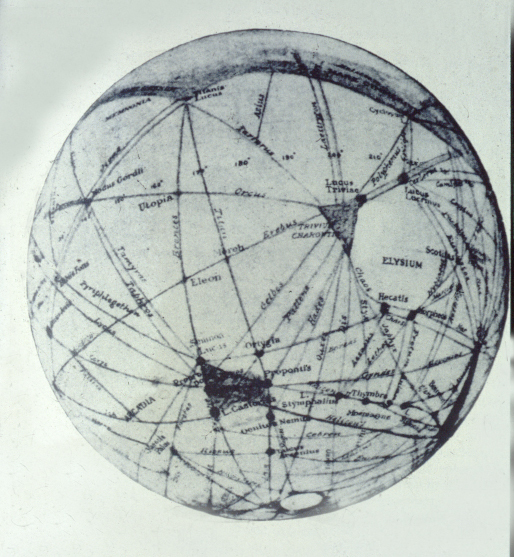 The idea of a global network of canals constructed and operated by a race of Martians fascinated Percival Lowell to such an extent that it was one of the main reasons he constructed the Lowell Observatory in Flagstaff Arizona. 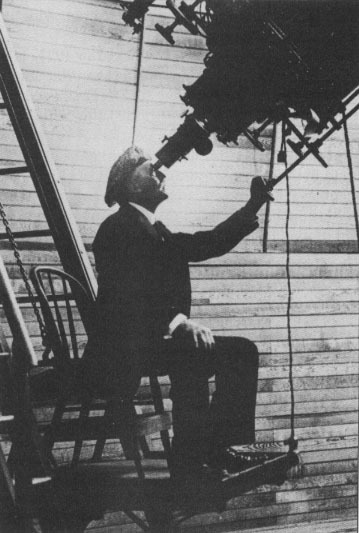 When Schiaparelli retired, partially due to failing eye sight, Lowell picked up the mantle of observing Mars and documenting the canals of Mars. Lowell’s interpretation of his observations of Mars was that the planet harboured an advance and old civilization that was slowly dying. The canals were being used to carry water from the melting polar ice caps to the cities. He also believed that seasonal changes in the darker areas of Mars were due to the growth and decay of vegetation and that Mars had surface temperatures close to Earth’s; a bit chilly like the south of England (Cosmos by Carl Sagan; 1980). In spite of his detailed observations of Mars most in the astronomical community could not see these structures when they grazed at the red planet. Over time Lowell’s ideas came under careful scientific scrutiny and were discarded due to the lack of supporting evidence. 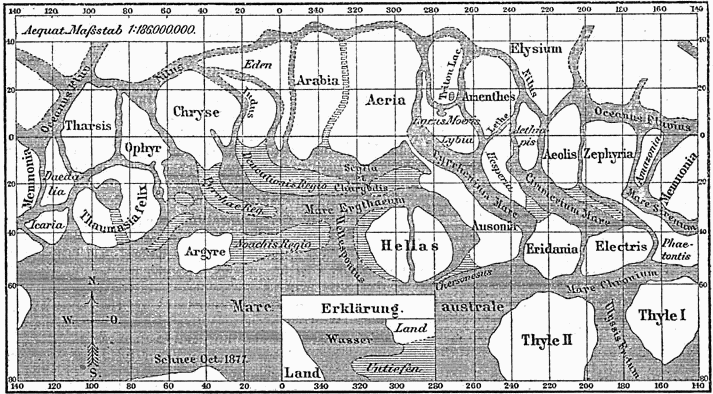 In one case, Alfred Russel Wallace (co-discoverer of the theory of evolution with Charles Darwin), identified errors in Lowell’s calculations on Martian temperatures. 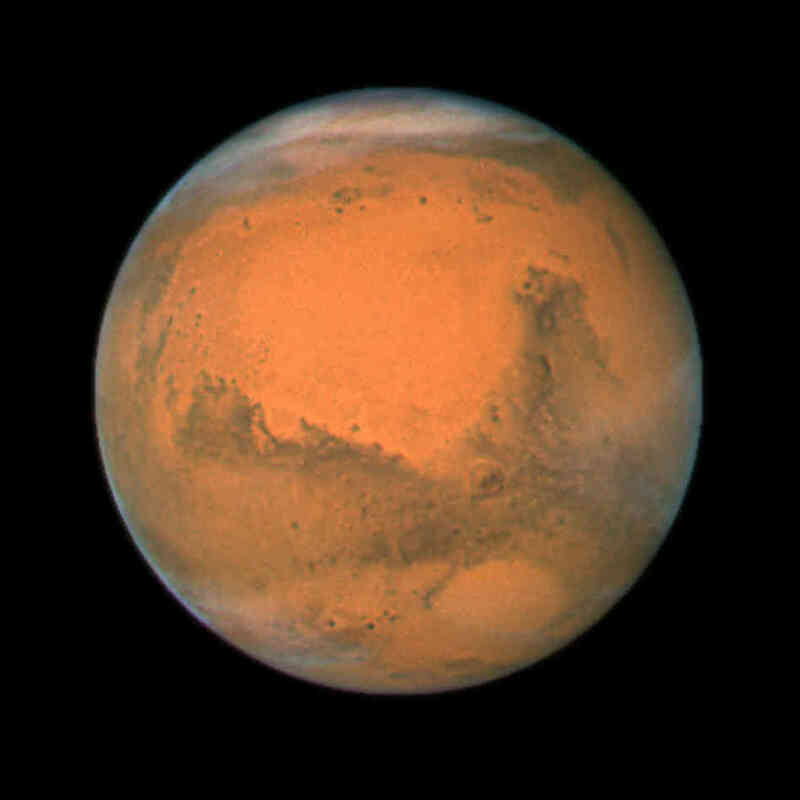 Wallace showed that the temperatures on Mars were typically below the freezing point of water so liquid water could not exist on the surface of the red planet (Cosmos by Carl Sagan; 1980). In spite of Lowell’s ideas on Mars being largely discarded, his ideas stimulated the imagination of both the public and writers of fiction. from Collected Essays, Volume 3: Science H.P. 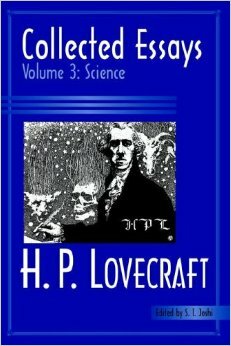 Lovecraft; edited by S.T. Joshi 2005). The words in caps are shown as is in the essay. Thus, although HPL was somewhat skeptical of their being life on Mars, he did not think it was out of the realm of possibility. Remember he had a very similar attitude initially toward Einstein’s ideas on relativity. While HPL was not sure about Lowell’s ideas on Mars, he did respect him as a scientist and his many other accomplishments (Joshi, 2005). The next article will discuss HPL’s thoughts on the use of Mars in fiction, as well as his own use of the red planet in his fiction. Thank you – Fred.